No one can deny it: it’s a mobile world. The internet is widely consumed through mobile devices today. At first, when you hear mobile device you may think cell phone, but in fact, the lines between what is a mobile device versus a “non-mobile” device are confusing. Even computers today are mostly portable/mobile as laptops are getting smaller and lighter. Notebooks, like Chromebooks and Surface Pros, look and act more like a laptop than a tablet, but they are still considered a mobile device. If this all gets confusing to us who are somewhat tech savvy or who spend our days working on a computing device, think how confusing it is for the average consumer. Many of the younger generation may have never grown up with the wired stationary desktop computer and have only seen wireless laptops in their home. This young generation has grown up with a powerful computing device glued to their hands, and they don’t know of the old world that considered the laptop/desktop as the primary device. This reality is especially true when it comes to printing on real paper; no longer are consumers limited to printing only from a traditional computer, if one even still exists in their home. The most common myth about creating an FMCG and CPG manufacturer’s coupons is that a coupon can be designed for use directly from a mobile device without printing. While this is true for certain coupons, like store-specific coupons, it is not true for today’s CPG and FMCG manufacturer’s coupons. The manufacturer’s coupon is a completely different animal from a store-specific coupon. Not like the small differences between a lion and a tiger, but more like the difference between a dog and a cat. Manufacturer’s Coupons must behave differently and are subject to rigid rules and industry guidelines. Think of the manufacturer’s coupon more like a written check or a voucher that gets cashed by a 3rd party and then reimbursed by the issuer, the CPG manufacturer. Like a check, the manufacturer’s coupon must be printed on paper before redeeming for a cash value. Once redeemed, the paper coupon goes on a journey. That journey helps all parties involved reconcile and validate each coupon. Consider this same process, but now without the paper form and only the retailer having access to the scanned coupon data. The manufacturer would have less control and assurance in regards to the number of redeemed coupons and expected reimbursement. There are other factors at play here as well. Many retailers have their own digital coupons programs that promote their own store-specific coupons, many of which are digital through a load-to-card type program. So with a few bottle-necks in place, it seems this industry is still operating in an archaic fashion, but it does so to provide the necessary coupon security to protect all parties involved until a universal system is in place and accepted by the industry. Before you leave feeling disappointed, there may be smaller opportunities you can embrace and create an all-mobile CPG digital coupon. If you distribute your product in stores other than traditional grocery, you may be in luck. There are a few specific ways to create an all mobile coupon. Some specialty retailers and convenience stores will allow brands to create very unique mobile manufacturer’s coupons that can be scanned directly from a phone and redeemed with no printing required. The key is working directly with these retailers and build the set-up procedures necessary to get a program like this off and running. On the bright side, there are so many super-cool things you can do with a mobile coupon that you can’t with a paper coupon like real-time redemption information is possible with mobile coupons. As soon as a mobile coupon is used at a store, that information is transmitted and displayed in a coupon dashboard. Creating geofences around specific stores creates the ability only to target and allow consumers who are nearby to activate the coupon offer. A countdown timer can build a sense of scarcity and urgency of use and require a consumer to redeem within a certain number of minutes or hours instead of days or weeks. With mobile coupons, you can unlock a host of great features that drive consumers to the stores, buy the products, and redeem the coupons. Like getting free guacamole at Chipotle or magic fairies coming to clean your house overnight, the perfect world for mobile digital manufacturer’s coupons isn’t here yet. 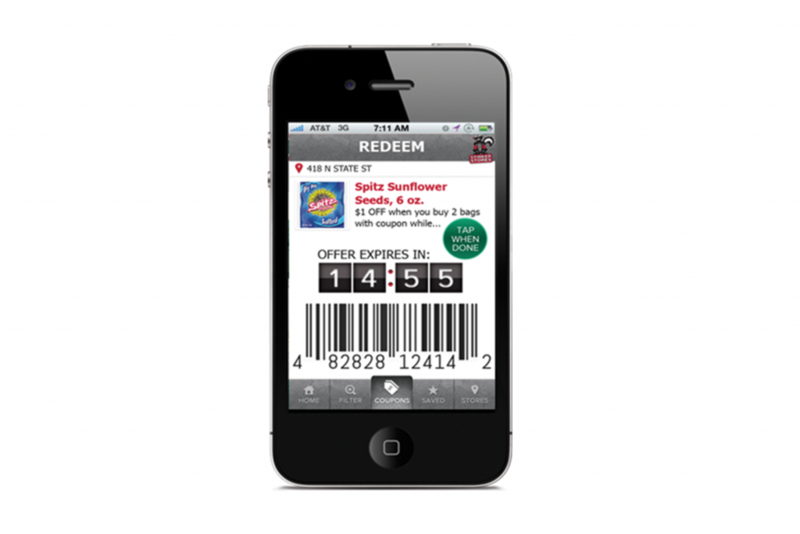 However, these other options for mobile coupons are a great step in the right direction for certain experiences. Using them will not only give your customer’s a more seamless experience, but also aid in the overall success of your digital coupon campaign. While these options are not, they are a great step on the yellow brick road of mobile coupons. For more information on how you can effectively use mobile technology today for CPG, FMCG, and SMCG digital coupons, contact us today.